ABeam Consulting provides diverse consulting services to help our clients achieve transformative change. We make it our mission to continually help increase our clients’ corporate value through transformations that bring about new success. We will take a scientific approach to helping Sato achieve even better racing results, making recommendations based on data-derived insights. All Nippon Airways (ANA) is the eighth largest airline in the world by revenues and the largest in Japan by passenger numbers. Founded in 1952, it flies today to 76 domestic and international cities in a fleet of 228 aircraft serving a network of 164 routes. Breitling is a leading Swiss luxury watch maker who since 1884 specialized in the development of stopwatches and wrist chronographs. They are famous for their aviation watches, and the best-known model is the Navitimer with a built-in slide rule. They have expanded their product line, utilizing their specialized technologies and know-how. Takuma loves their functionality and design, as he wears a Breitling watch in his everyday life. Honda Cars Kanagawa Kita is an official Honda car delaer in Kanagawa Prefecture in Japan. There are many popular models displayed in the show room. They sell not only new cards, but also used cards, as well as buying used cars, also car maintenace service and safety checks. We all support Takuma Sato who is challenging 2012 Indycar Season. NGK Spark plugs is a company that makes spark plugs and sensors for exhaust gas for cars. With top-quality product, NGK has become the leader in the industry. They provide top plugs product to Takuma for his race car. 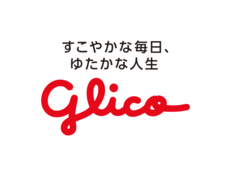 With the brand message of “A wholesome life in the best of taste”, Ezaki Glico is one of Japan's leading manufacturers of confectionery and other foods products including sports supplements. NAC. Co. Ltd. supports many aspects of daily life. It delivers the CreCla bottled water and the Duskin cleaning equipments to home and offices. It also produces comfortable housing and consulting services. As a leading sportswear company in Japan, Descente has been supporting Takuma since 2006. It has jointly developed polo shirts and T shirts co branded with TS using their unique high performance and eco friendly material. Bridgesone produces the world most performing tires on races, as well as atire for fun car touring and motorcycle touring. It is the world’s largest tire and rubber company. Firestone, which is the Official Tire of the Verizon IndyCar(r) Series, is also one of the Bridgestone brands. Bridgestone is providing top tire equipment to Takuma this season. After changing the company name on the 1 October 2013 from Tabi Capital to Evolable Asia, we are offering innovative solutions in web-based software development. We are at the forefront of developing the new generation of online travel business with unlimited potential. We continue in supporting Takuma Sato. Arai is a leading helmet maker and chosen by many top class drivers worldwide. The company has supported Takuma since 1997. Studio Kome is specialized in original painting of Taku’s racing helmets, and has enjoyed more than 20 years history. It has painted Takuma’s helmet since 1997. Rahal Letterman Lanigan Racing is co-owned by Bobby Rahal who is a three-time IndyCar Champion and 1986 Indianapolis 500 winner, David Letterman the former CBS Late Show host and Mike Lanigan the Mi-Jack co-owner. Takuma rejoined the team for 2018, which he previously drove for in 2012. The IndyCar Series, currently known as the Verizon IndyCar Series, is the premier level of open-wheel racing in North America. Takuma Sato moved to the series in 2010 from Formula 1. End Water Poverty is the international campaign to end the global injustice that causes millions to live without access to clean water and sanitation. Takum supported their July Campain 2008. It is a non profit organization established to grant the wishes of children with life-threatening medical conditions to enrich the human experience with hope, strength and joy.